A recreational vehicle on display at Bucars RV Centre in Balzac, Alta. The symbol of a retirement filled with travel and relaxation arrived last year for Bruce and Lisa Anderson of Calgary in the form of a 12-metre long package. That’s how big their diesel-powered Class A motorhome is – about the same size as a city bus with, as Bruce points out, a bigger weight-carrying capacity. “Our camping experience has run the whole gamut from tent to travel trailer to motorhome,” said Bruce, acknowledging that purists might not consider it camping if you stay in air-conditioned luxury with more floor space than a small apartment. When it comes to buying a trailer or motorhome to get out into the great outdoors or just avoid paying hotel rates on vacation, the choices can be daunting and the price in the window is just the beginning of what ownership will actually cost. The range of options and prices mean it’s best to have a good idea of your budget and needs before turning up at the dealership, he said. “You can get into a really good used RV for around $5,000,” he said. “If you’re buying privately, the main thing is safety,” Hamm said, adding many dealers will do safety checks for a fee. “Nobody should buy a motorhome. They’re expensive and they are depreciating assets,” he said in an interview. He conceded, however, that his company sells used RVs as part of its program to continually refresh its fleet of 1,200 rental units – and CanaDream allows renters to apply their rental fees to a purchase. 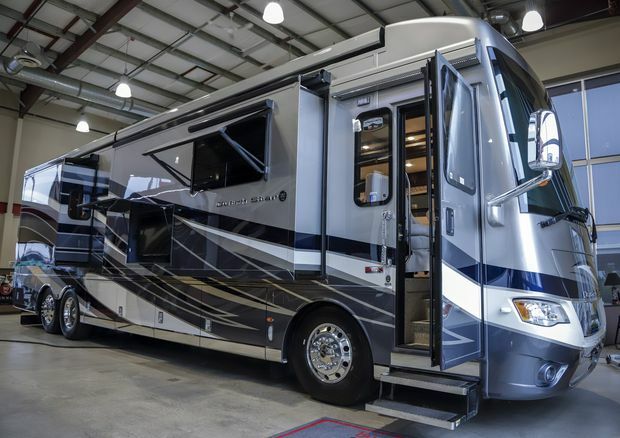 The fall rental of a two-person RV might cost $100 per night from CanaDream, but a last-minute, midsummer rental of a big motorhome that sleeps six could be $350 to $400 per night, Gronberg said. Insurance for the motorhome costs more than for a house. Campground fees start at $40-$50 a night with power and water service but some resort-style campgrounds charge as much as $110 a night, he said. Other regular bills are for maintenance and draining the RV’s water lines before winter’s freeze. And then there’s the cost of fuel, he said.